Rebecca joined the Nazareth College faculty in 2018. Previously, she served as a full-time faculty member at Keuka College and an adjunct faculty member at the University at Buffalo, State University of New York. Her research agenda centers on health and mental health disparities, including racial, ethnic, cultural, and geographic disparities, with a specific focus on reproductive, sexual, and perinatal health and mental health. 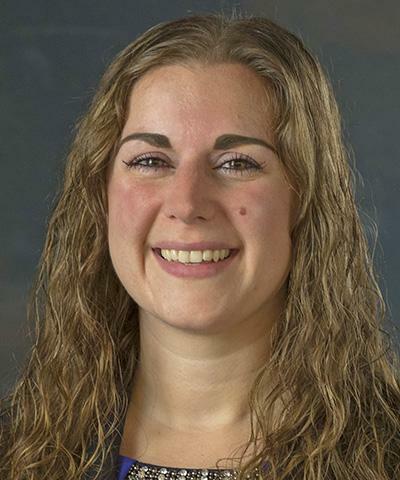 Rebecca's practice has primarily been in mental health and she currently works as a Primary Therapist at Newark-Wayne Community Hospital and Clifton Springs Hospital and Clinic, both affiliates of the Rochester Regional Health System. Rebecca received her BS from from the State University of New York at Geneseo, her MSW from Roberts Wesleyan College and her PhD from the University at Buffalo, State University of New York.